We love salads, all sorts of salads. Almost every time we’re having dinner, it’s being accompanied by a simple salad. Nothing beats some mixed greens with cucumber and maybe some tomatoes or whatever is left in the fridge. Sometimes we like it even more simple, by drizzling some balsamic vinegar and olive oil on top. 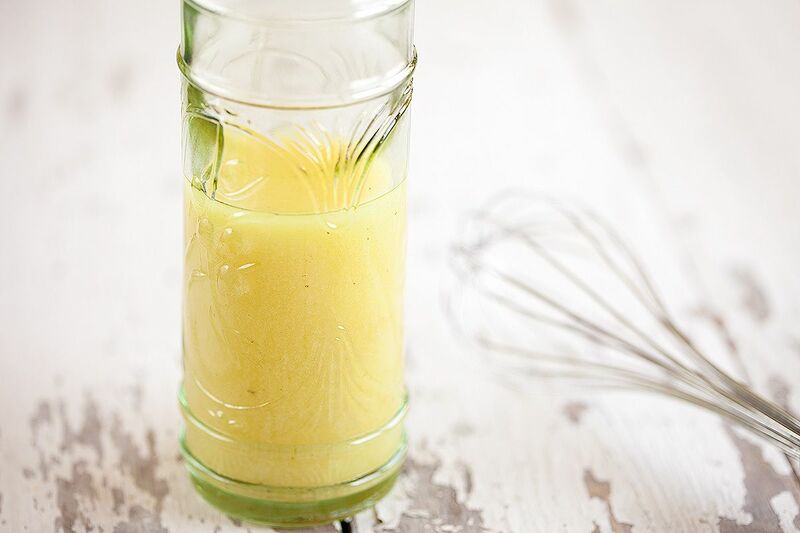 But also, within a few minutes you can make your own vinaigrette. The ratio is 1:3 so this means 1 vinegar and 3 oil, for example 1 dl (100 ml) to 3 dl (300 ml). First combine the vinegar and mustard. 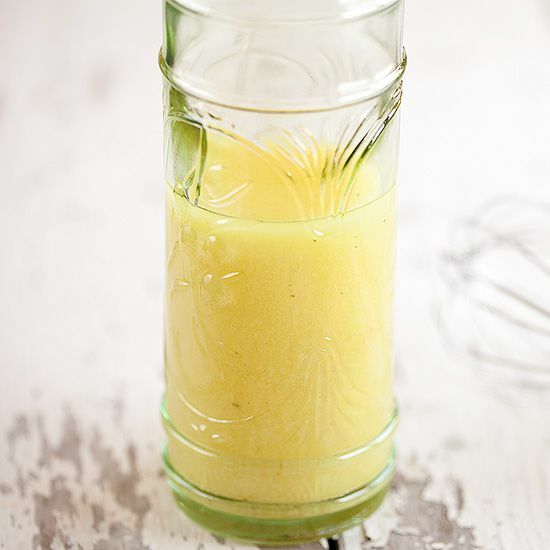 Slowly drizzle in the oil and keep on mixing with a whisk, otherwise the oil and vinegar won’t combine. SEASON with pepper and salt. You can vary endless with vinaigrettes. The supermarkets we have here in The Netherlands don’t always sell a lot of different kinds of vinegars and oils and we think that’s too bad. But it’s worth the trouble of going anywhere special, like these small stores where you can buy delicacies. 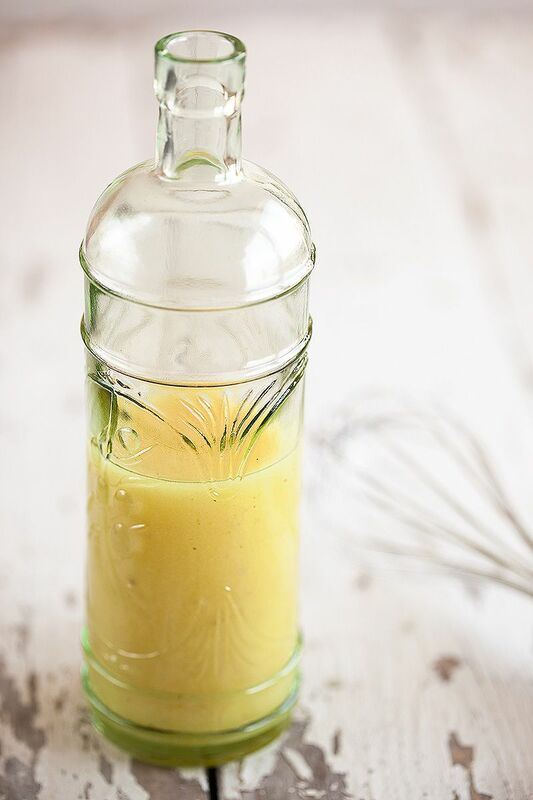 The type of vinegar or oil can make a real difference in the end result for a lovely and yet simple vinaigrette. Did you know you can even make your own oil or vinegar? 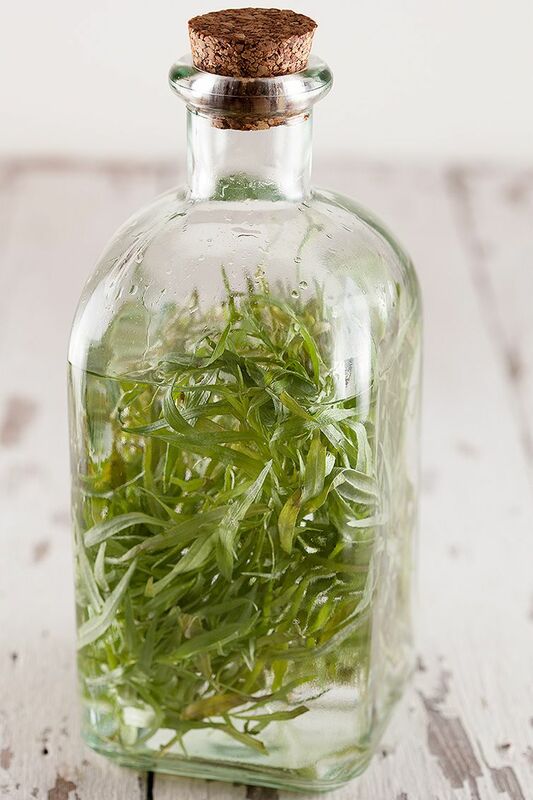 Add fresh herbs like tarragon or sage to your plain olive oil or vinegar and place it in a closed container. Set it aside on a cool and dark place, like your basement or kitchen cabinet. After a few weeks, mostly about 3 weeks, the oil or vinegar has absorbed all the flavors from the herbs. You can try all kinds of herbs, vinegars or oils this way, give it a go!